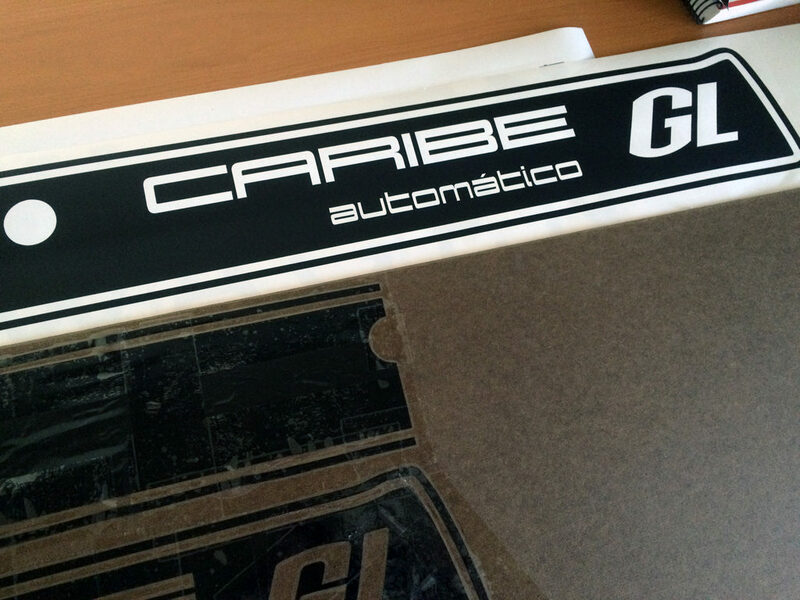 I found a pair of cool old NOS ‘Caribe’ rear hatch decals. 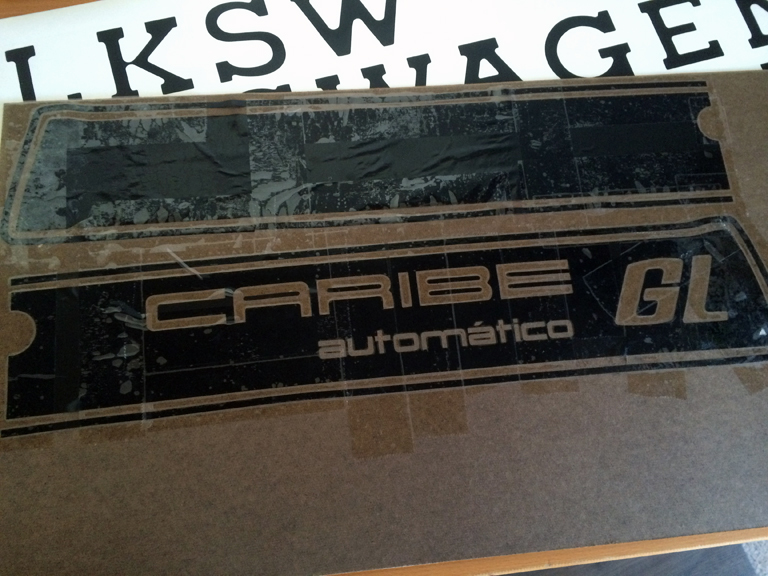 The Caribe is the Mexican market name for the Mk1 Golf/ Rabbit. I like it. These stickers are *well* beyond their prime. 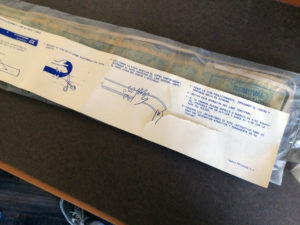 The old 3m vinyl is either not sticky at all, fragile like an onion skin, or gooey and gross. These guys are all 3 at the same time. Place correctly their strips "caribe"
8- observe the directions of this instruction to the grate an attractive and permanent decoration of its " Caribbean"
I cut one in half (in the name of science!) and used packing tape to stick it to a piece of fiberboard. 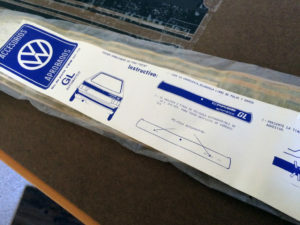 Made some measurements and… a bitchin’ new sticker is born. 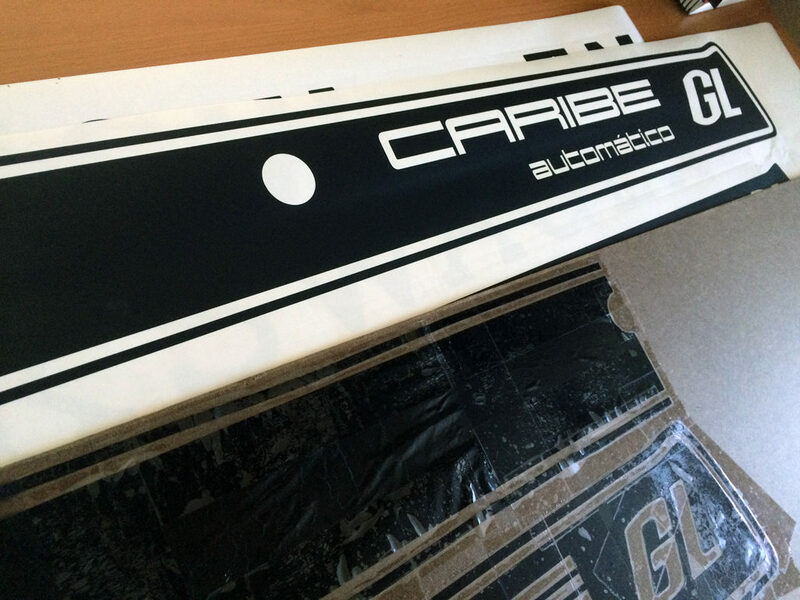 I no longer have a Mk1, so who is going to step up and run the Caribe logo on their Rabbit? $35 for the one pictured. I can modify these to say other things as well… RABBIT diesel S, RABBIT fuel injection GTI, etc. We can get weird if that’s your thing, too. 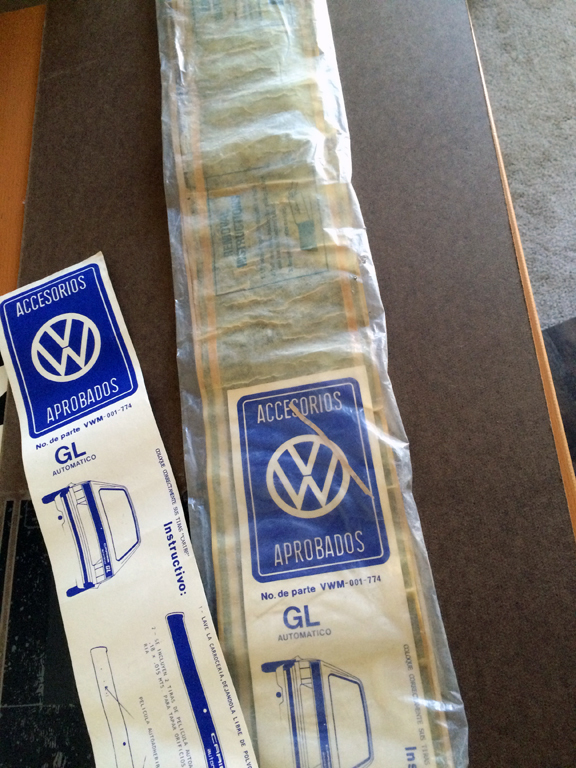 These are cut from the Automotive-grade Oracal that I always use. No cheapy vinyl here!